The rising demand for transparency in the supply chain means more attention is being paid to coding and labelling. More and more customers are asking for inprinting of preprinted films, according to operational manager Ad Nouws of BerryWorld. With 70 different types of punnets, trays and buckets that are supplied to well-known supermarkets and other retail channels, both nationally and internationally, a perfect process of coding and labelling is a must for the company. That’s hardly surprising when the average weekly production is 1.5 million punnets. “Every day, the soft fruit of various BerryWorld growers arrives at our sorting centre in Made, the Netherlands. We divide all of the fruit in various classes and amounts. With 70 different kinds of punnets, we can pack in any desired shape and content. Besides, we naturally also supply trays and buckets when purchases are larger. That’s a bit of custom work that benefits our customers a lot, because anything is possible,” As says. “After an extensive automatic product analysis, the approved soft fruit is packed using eight lines. The majority of the punnets with soft fruit is closed with top-seal using the tray-seal machine. If the buyer doesn’t want top-seal, a lid is placed on the packaging. That’s when we start our coding and labelling process. In this process, we can adjust ourselves completely to the desires of our customers.” Flexibility was therefore an important condition when choosing a complete solution for coding and labelling from De Koningh Coding & Labelling. To ensure a flawless coding for the soft fruit, De Koningh realised a smart software solution. 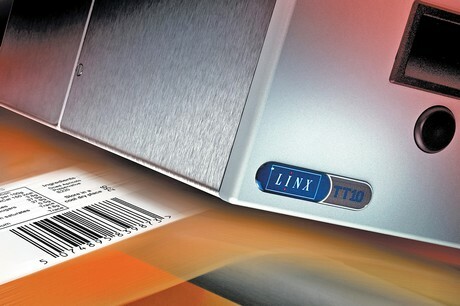 The software uses the coupled scanners to first check the presence of the label. The barcode is scanned and all data is verified. When a label is missing, or when the scanned data isn’t the same as what should’ve been printed, the product is expelled. “Because of this additional check we’re certain the right product is labelled and will be sent to the right customer. I want our coding and labelling process to be flawless, and that’s why I chose the complete solution of De Koningh. I can get all of our machines, print ribbons, software and service from them, and that cooperation is invaluable,” Ad concludes.